[UPDATE 28/11/2014 – New measures announced by the Commission this week include the publication of the EU negotiating texts which the Commission already shares with member state governments and the European Parliament, increased access for Members of the European Parliament to negotiation documents, and a less restrictive handling of other related documents. The Commission also announced the pro-active publication of meetings of Commissioners and their senior staff with outside stakeholders. Join us in demanding that the European Commission releases full information about the TTIP as well as in response to requests submitted via AsktheEU.org! Click on “I also want to know” on the requests below, and let the European Commission know how many people are also calling for TTIP transparency. There are social, economic and environmental consequences from these negotiations which will affect us all. So take action now and show your support for TTIP transparency! Get tweeting and spread the word! 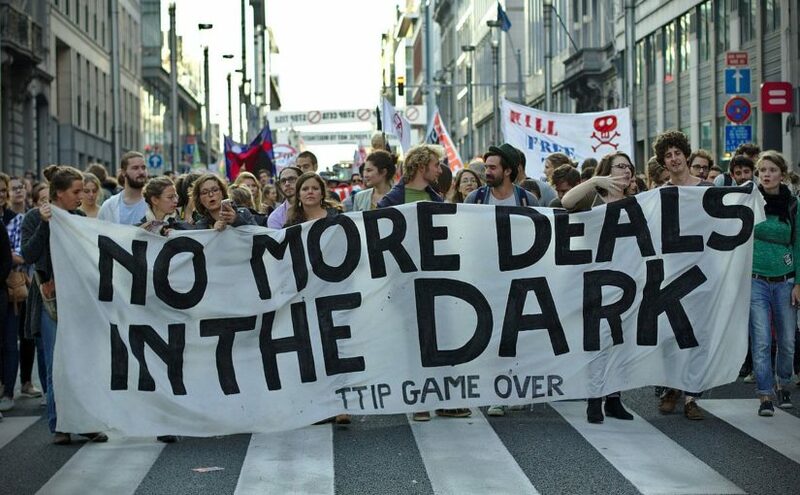 Access Info Europe, together with 250 organizations in Europe and the United States, has called for the negotiation process to be open to the public and for access to documents submitted by the EU during the TTIP talks. The European Ombudsman stated that in order to enhance the legitimacy of the TTIP negotiations, more documents need to be published proactively. Next Next post: Show your Support for Transparency of Sugar Industry Lobbying!